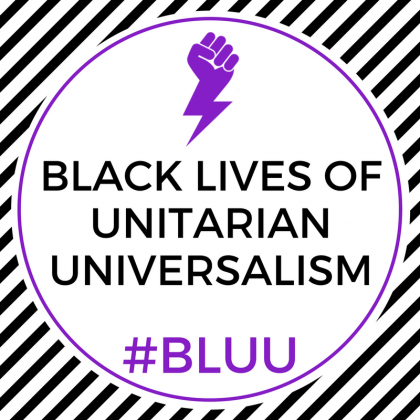 In case you are not familiar with them, please know that the Black Lives of Unitarian Universalism Organizing Collective (abbreviated “BLUU”) formed in July 2015 to provide support, information, and resources for Black Unitarian Universalists. They also work to expand the role and visibility of Black UUs within our faith. In the past two and a half years, BLUU has become an important and dynamic organization within our Unitarian Universalist movement. 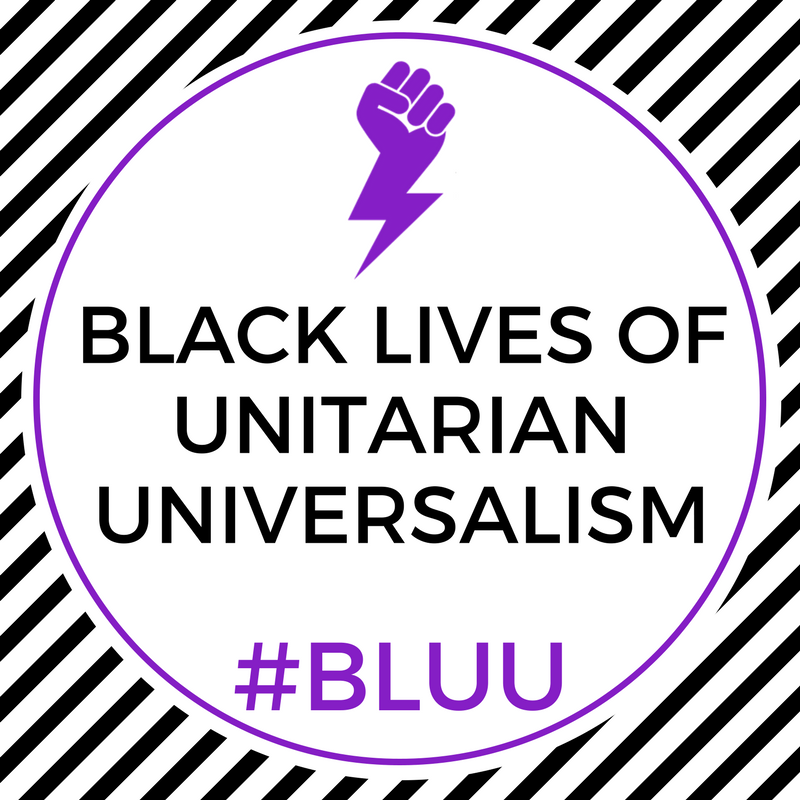 BLUU’s closed Facebook group—an online space for Black UUs to congregate together, support each other, and discuss the issues important to them in a safe environment—has over 500 members. In Spring 2017, BLUU challenged UU congregations to shift our regularly scheduled Sunday morning worship to participate in a teach-in on racism and white supremacy. As was described on BLUU’s website, this call to action and worship came from a growing network of UUs—religious professionals and lay leaders from both within and outside congregations—led by UUs of color and white UUs working together. At the time the challenge was issued, Rev. Elizabeth (our assistant minister at the time) and I assessed that we were not ready for such a teach-in at Chalice. Now, over six months later, the time feels right for us. Several of you have come to me—aware that we are now somewhat “behind” the rest of Unitarian Universalism on this work—asking when we will have our teach-in. I am happy to tell you that I finally have an answer to that question. We will have our white supremacy teach-in on Sunday morning, January 28 at our regular worship times: 9 a.m. and 11 a.m. The teach-in may last longer than the usual worship hour, so please come prepared to stay for an hour and a half. To facilitate our teach-in, we are bringing in Rev. Kristen Kuriga to lead us. Rev. Kuriga worked as the Social Justice Coordinator at First UU Church of San Diego for seven years before stepping down in August 2016 to complete her training to be a UU minister. If you want to get a jump start on learning about white supremacy culture before our teach-in on January 28th, you can read here. Many have been responding to calls by UUs of color to look critically within our faith communities—including hiring practices, power brokers, and cultural habits—for the ways racism, sexism, and white supremacy live. ‘White supremacy’ is a provocative phrase, as it conjures up images of hoods and mobs. Yet in 2017, actual ‘white supremacists’ are not required in order to uphold white supremacist culture. Building a faith full of people who understand that key distinction is essential as we work toward a more just society in difficult political times. For more information on what spurred this call to action, head to UUWorld.org and read the article ‘Critics decry white supremacy in hiring practices.’ It has become clear that, in order for us to be more effective at tackling the white supremacy beyond our walls, we must also identify ways in which systems of supremacy and inequality live within our faith and our lives. The ask is simple, and challenging: During your Sunday worship time…devote your program…to explore white supremacy, and help your UU community commit to resisting it. Why change your worship plan? Many of us work in congregations, and know that such shifts require work and can challenge our comfort levels. That’s precisely why we feel it’s important. We believe that hundreds of UU churches signaling to their own members and to the larger community that ‘our faith takes racism seriously, especially within our own walls’ will push our faith toward the beloved community we all seek. Whether your UU community has dozens of members and children of color, or just about everyone is white, the commitment to combat white supremacy must be strong and urgent. Battling racism in its many forms is not easy. Everyone has to start somewhere, and it takes a commitment to disrupt business as usual.